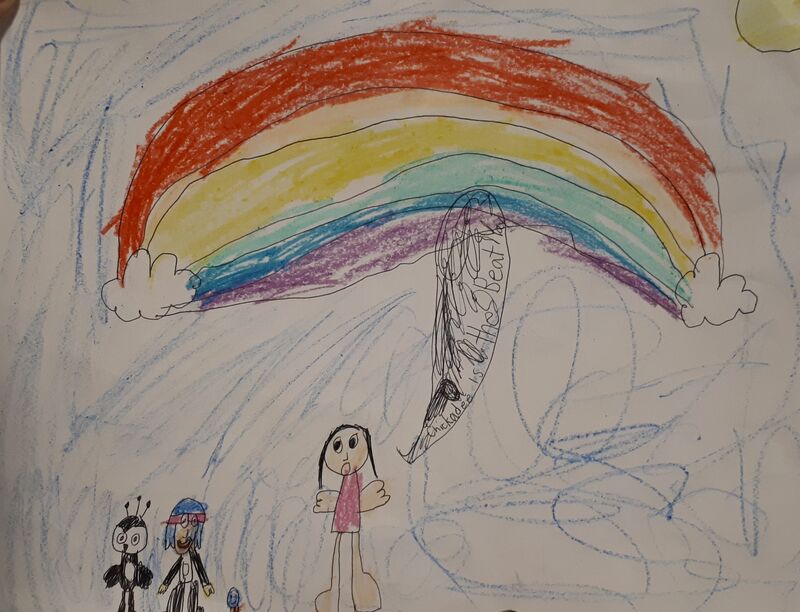 Check out this awesome drawing Reid, 8, sent us. Thanks so much for sharing this with us Reid! 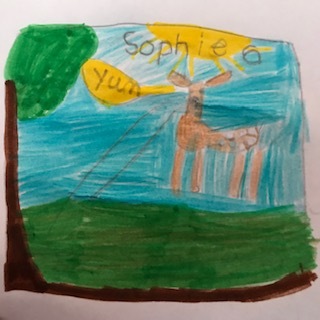 Sophie, 6, sent us this amazing drawing of a deer having a snack in a field. Thanks so much for sharing this with us Sophie! 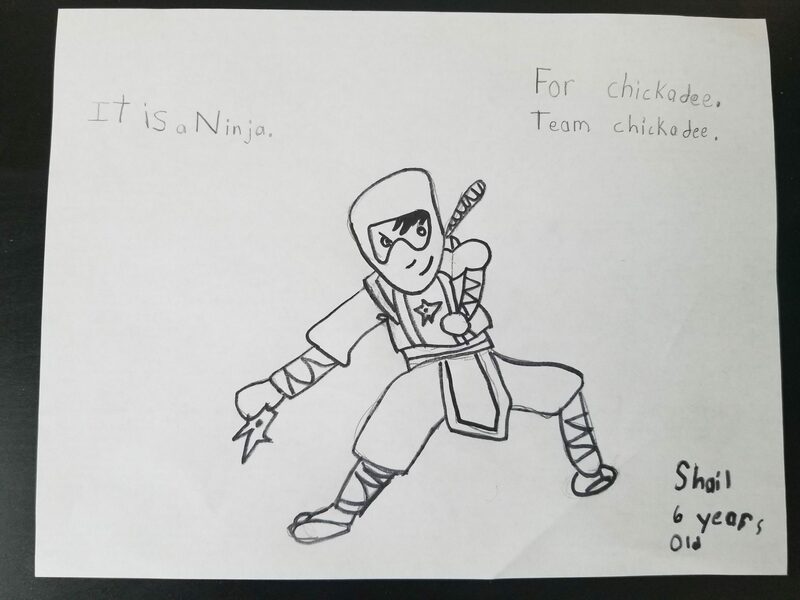 Shail, 6, sent us this awesome drawing of a ninja. 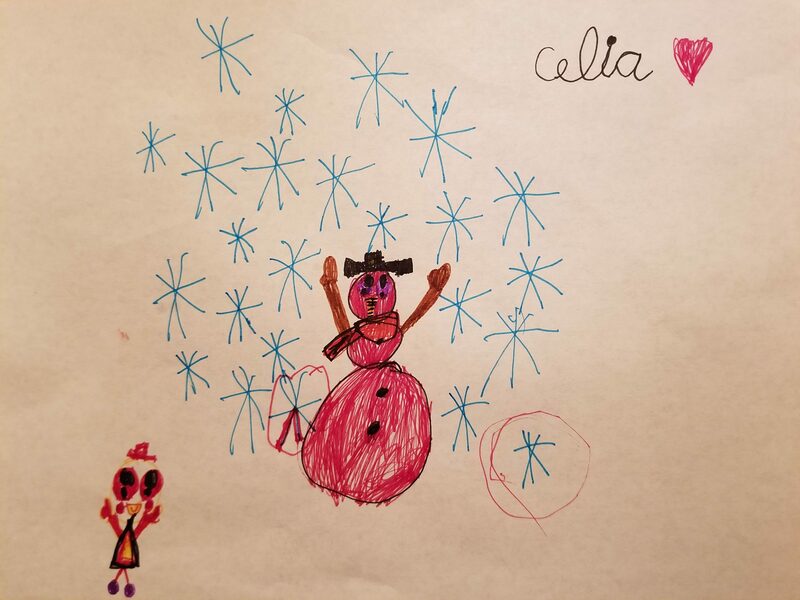 Thanks so much for sharing this with us Shail! 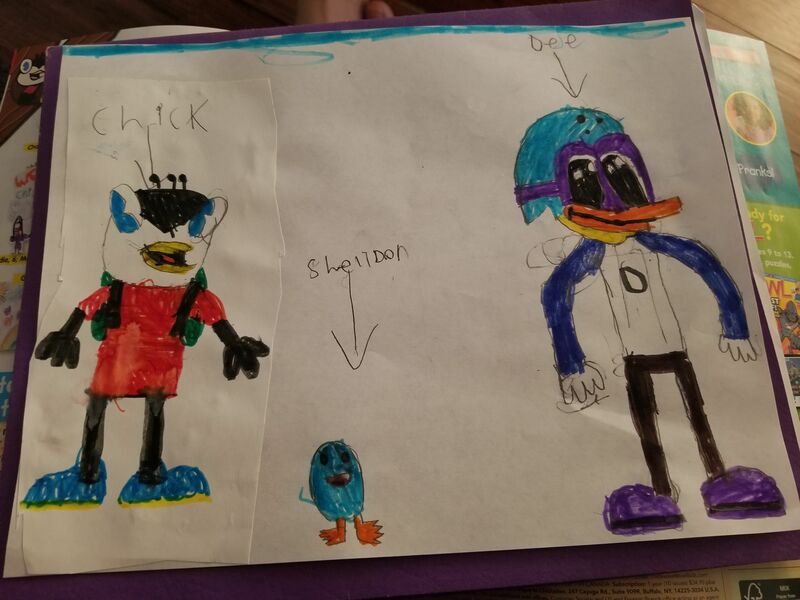 Audrey, 7, sent us this colourful drawing of herself hanging out with Chick, Dee, and Shelldon. Thanks so much for sharing this with us Audrey!